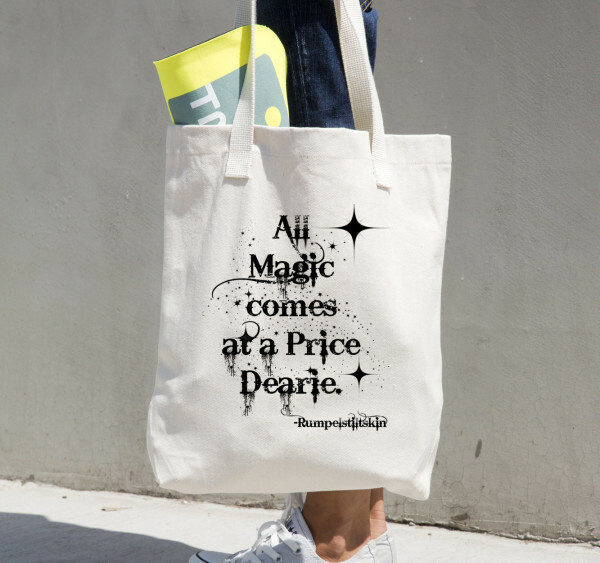 If you are looking for the perfect gift for a Once fan, then you can’t go far wrong with a Once tote bag. There are so many options out there it can be hard to choose which one you want, but have no fear, I have you covered. Here are 5 of the best Once Upon a Time tote there. 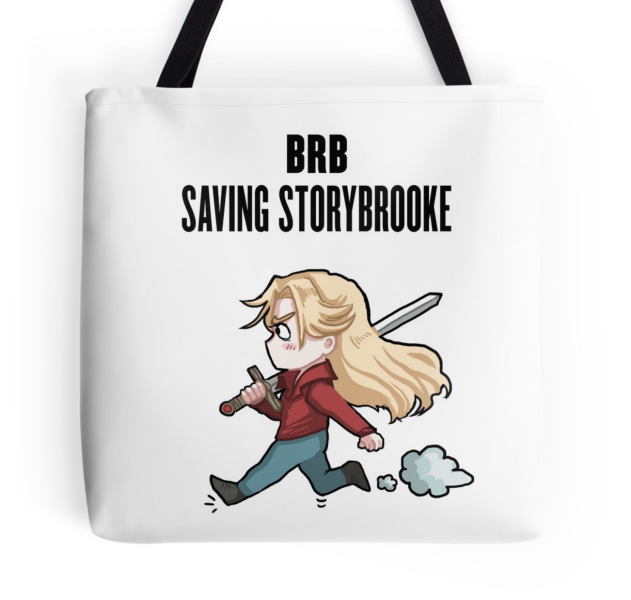 I love this tote bag by PompeiiAblaze featuring Emma with a sword on her way to save Storybrooke. The drawing is fantastic and is one all Once fans are sure to love. You can pickup this tote bag from Redbubble. 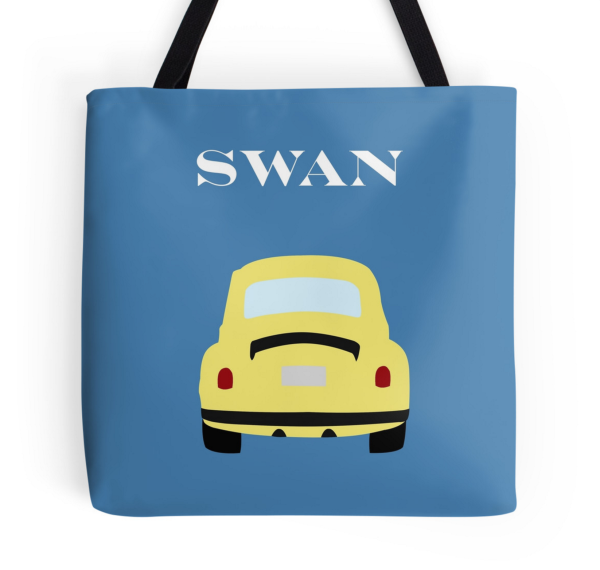 I love this simple Yellow VW Swan tote bag. Other Once fans will know instantly what your bag means as you walk around sporting this stylish design. OutlineArt designed this bag and you can buy it from the Redbubble store. Do you have a thing for Hook? Would you like to be his property? Well this bag might be the one for you. 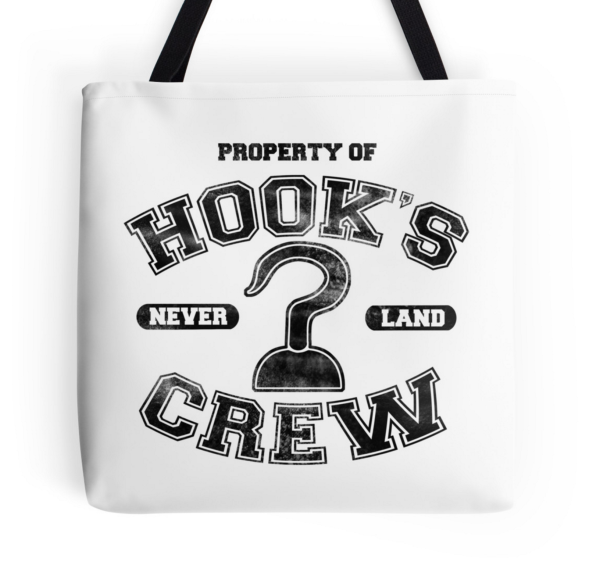 You can let it be known that you are property of Hooks Crew with this Once Tote Bag designed by PhantomKat813 from RedBubble. In the words of Rumpelstiltskin himself, All Magic Comes At A Price. 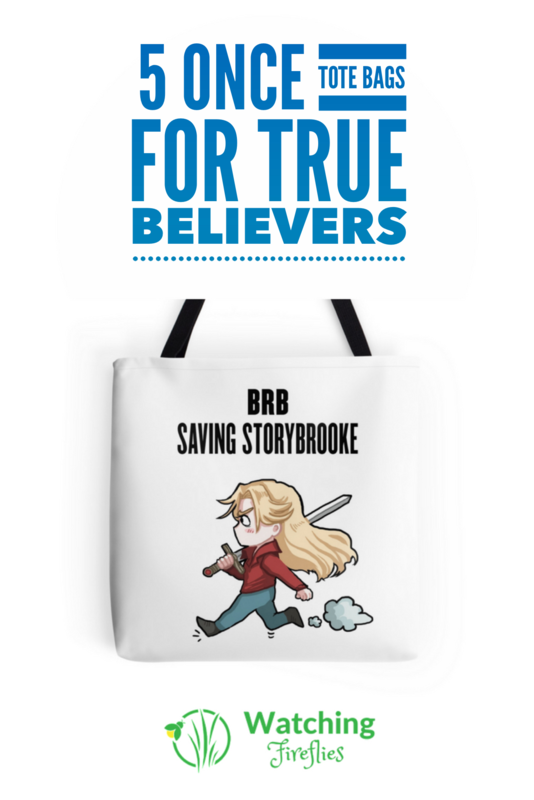 All Oncers know this and now you can share that knowledge with the world with this cool tote bag from SJKsBoutique on Etsy. 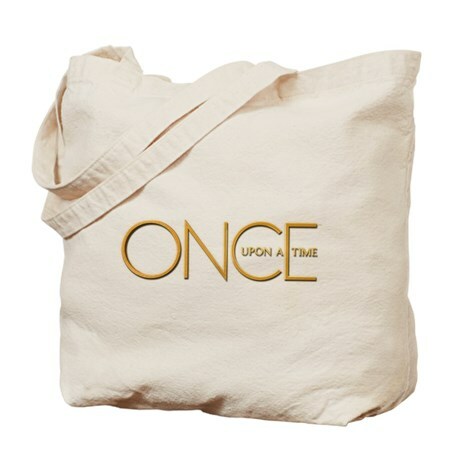 I couldn’t create this list without including the Once tote bag from the official ABC store. A traditional canvas bag with Once Upon A Time in gold lettering, this bag is simple but also perfect.